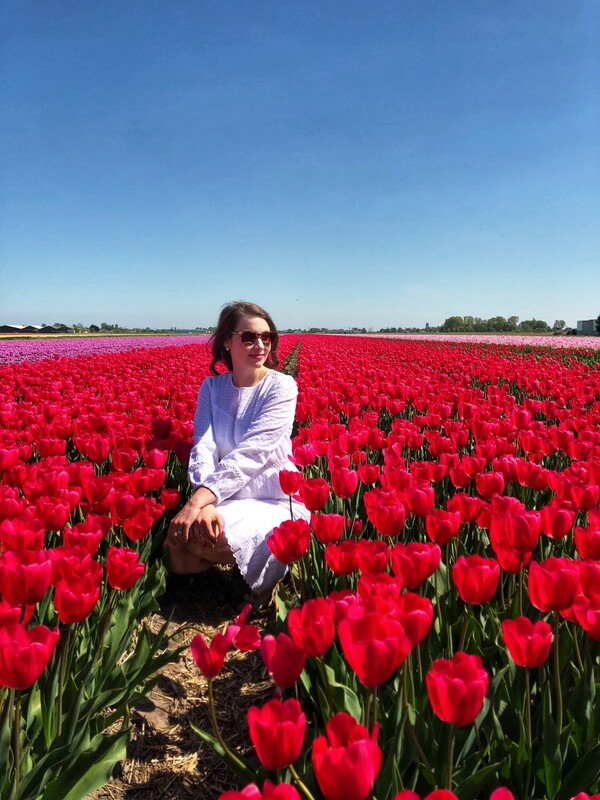 Traveling to the Netherlands to experience the Dutch countryside’s tulip fields in full bloom was a bucket list experience. 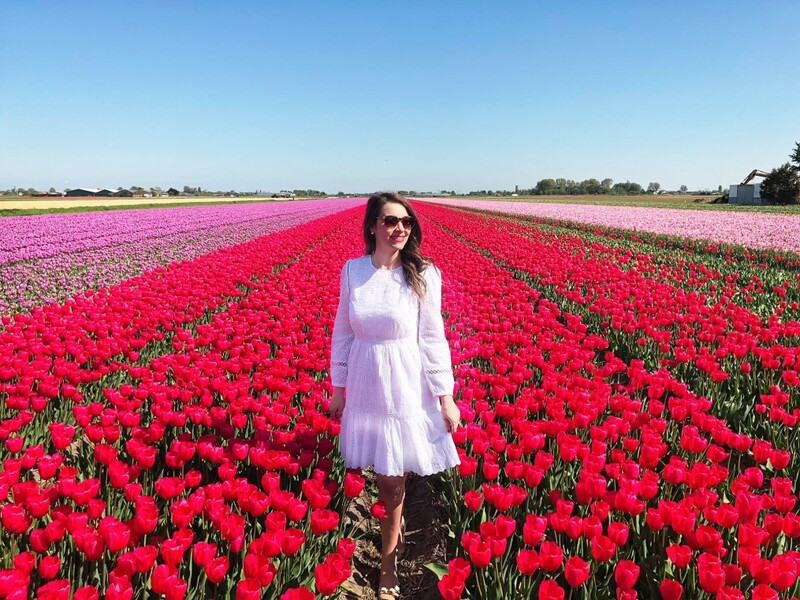 I absolutely adore flowers – buying them, arranging them, and of course, giving them, and when I realized our spring trip to Amsterdam was falling in the midst of Holland’s tulip season, I knew we had to go to see them! 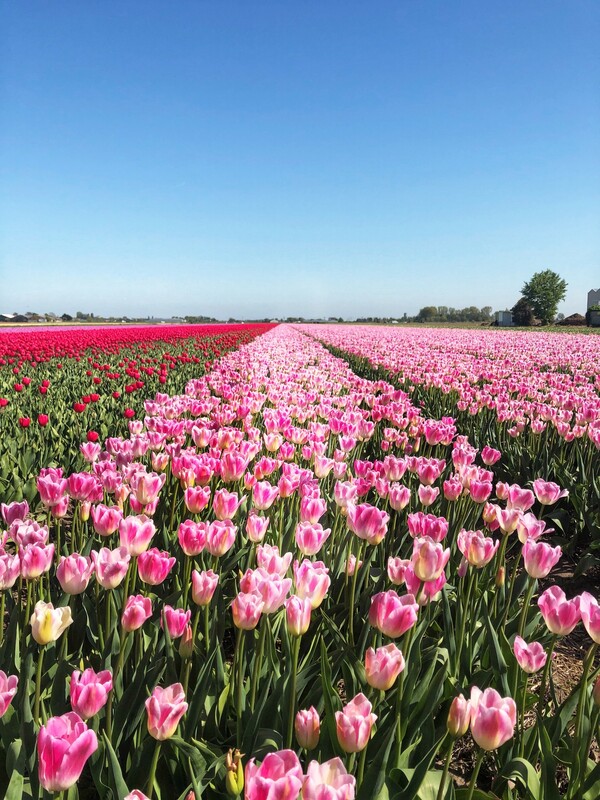 From roughly mid-April to mid-May, the town of Lisse and surrounding area come alive with color, as almost everywhere you look there are tulip fields! From brilliant yellows to bubblegum pinks, tulips of every color grace the land, making a trip through the countryside a spectacular sight! If you plan to visit the Netherlands during tulip season next spring, I highly recommend buying tickets to visit Keukenhof, one of the world’s largest gardens and often referred to as the Garden of Europe! 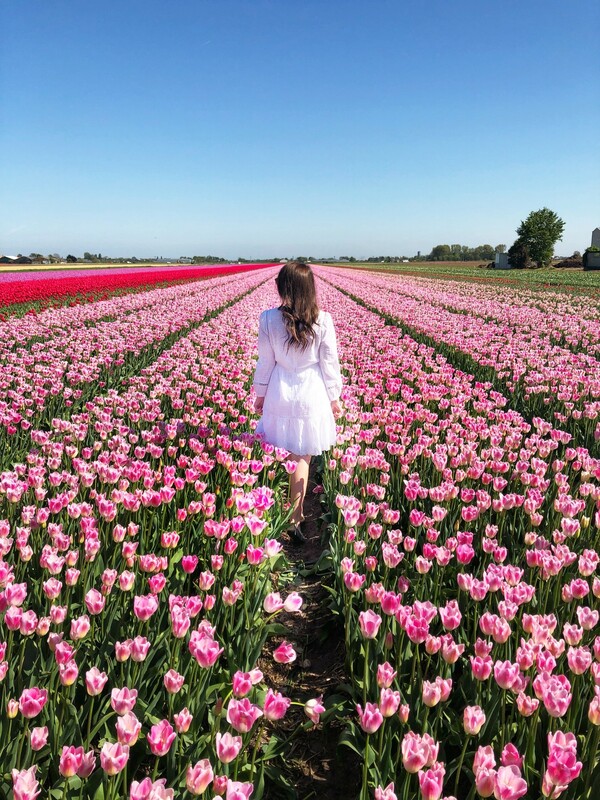 Keukenhof, which is located about 45 minutes southwest of Amsterdam in Lisse, is the perfect place to pair with your visit to the tulip fields. Your trip to Keukenhof can be as long or as short as you wish, as it is self-guided. 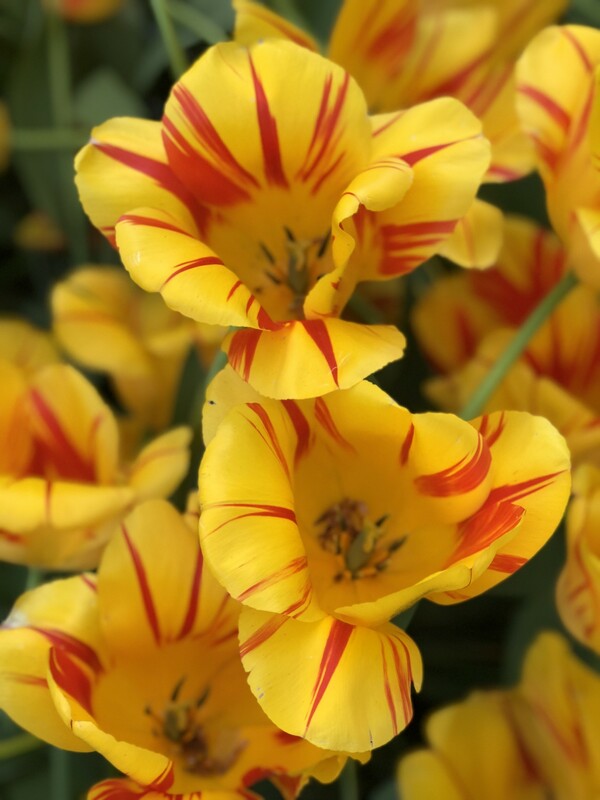 We loved leisurely wandering through the gardens and taking photo after photo of the marvelous flowers, including many unique species of tulips! Note: It is recommended to purchase both your tickets and parking in advance and if you can visit on a weekday, that is ideal, as the gardens are a very popular destination. 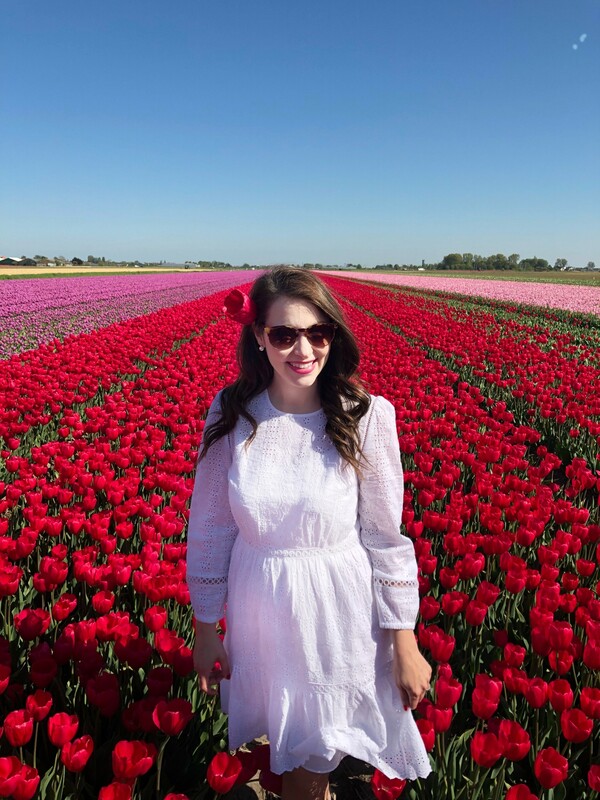 When researching our own trip, I hadn’t initially realized that the tulip fields that I had long admired on Pinterest and Instagram are not one in the same with Keukenhof. 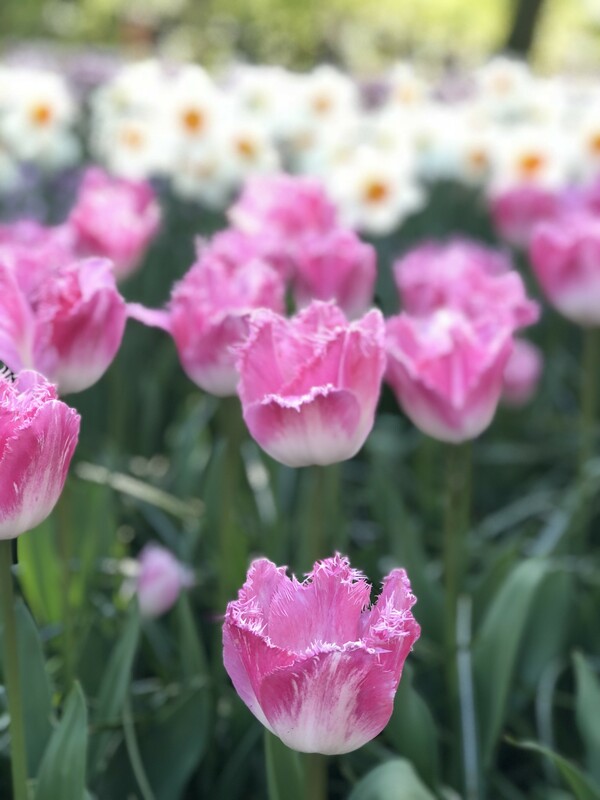 While there are many tulips growing in the garden, visitors don’t have the freedom to get up close and personal with the actual fields for those “perfect” photo opps. 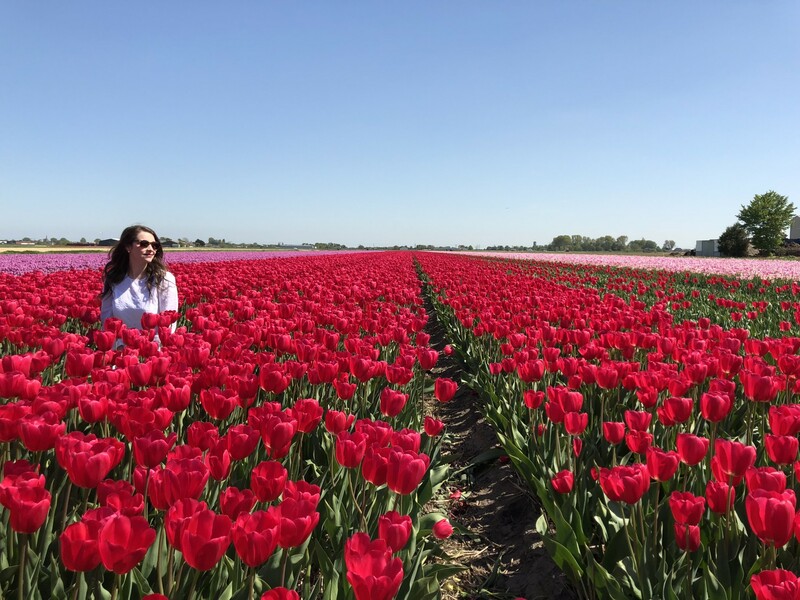 If you rented a car, the tulip fields are a short drive from Keukenhof, or alternatively, if you’re up for biking, Keukenhof has bikes available for rent and many of the bike paths will lead you straight through the picturesque fields. 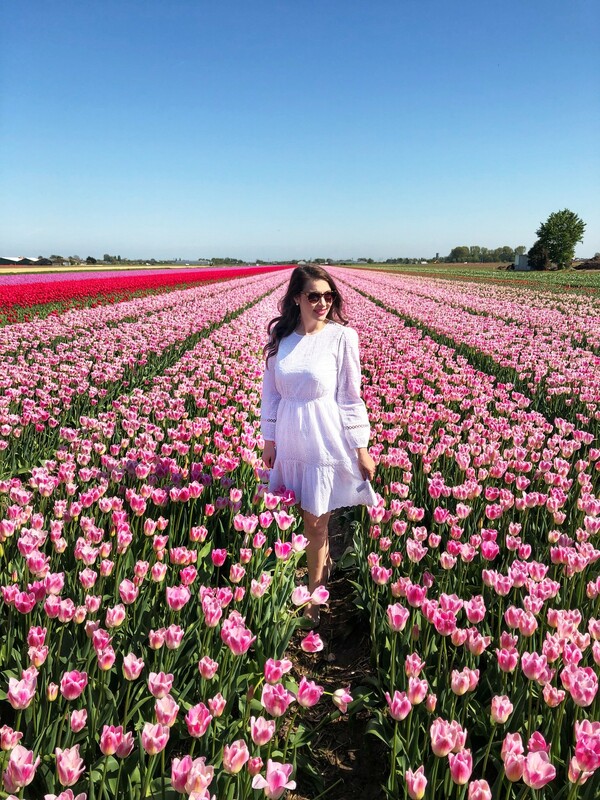 The tulip fields are nothing short of breathtaking! You can’t possibly imagine how colorful the flowers are against the sky or how massive the fields are on the farms. It makes you want to go home and start planting rows of tulips everywhere! 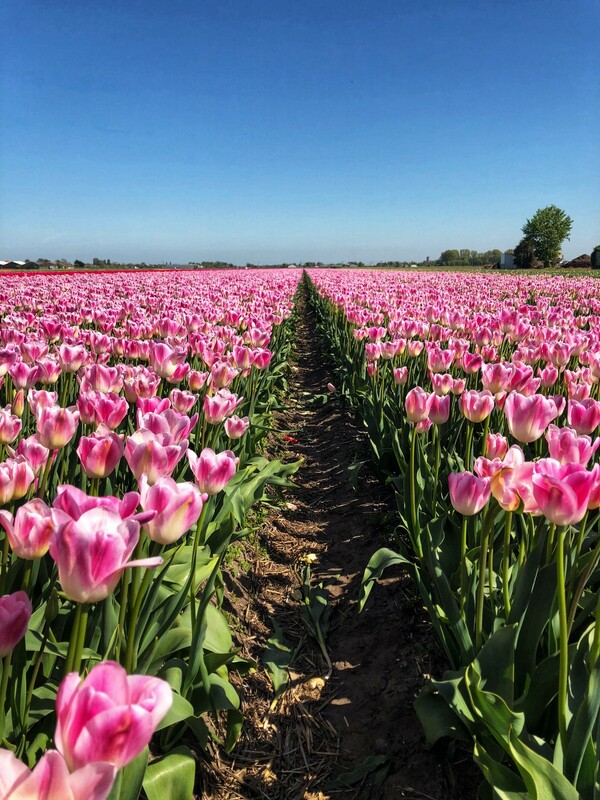 An easy day trip from Amsterdam, the tulip fields in the countryside are absolutely worth a visit! Have you been to Lisse? What did you think? The A-Lyst is a Boston-based lifestyle blog curating the very best of style, beauty, food, and travel. Hi! Yes, you can around the perimeter of the fields at Keukenhof, but I would actually recommend just driving around the area neabry the Gardens and finding actual fields instead. Those will give you better photos and more vast. Keukenhof is gorgeous but is more for viewing gardens than fields in the wild. You should rent a car from Amsterdam and take a day trip out there – it’s an easy drive and only around 45 minutes. It will also give you the freedom to explore and find those beautiful fields. They do offer bus trips to Keukenhof, but I think you’ll be limited in what you can see outside the Gardens. Hope that helps! Enjoy!